Today’s metal music scene is full of amazing potential. Home studio recording has allowed previously unknown musicians get their voice heard thanks to this and the Internet. Progressive musical especially has benefitted hugely from this with the inception of bands like Periphery and TesseracT who are now touring the world thanks to the initial dedication of recording at their homes. Like any scene, there is always a risk of over-saturation: There is only so much a bandwagon can take before it crumbles beneath the weight of wannabes and copycats. 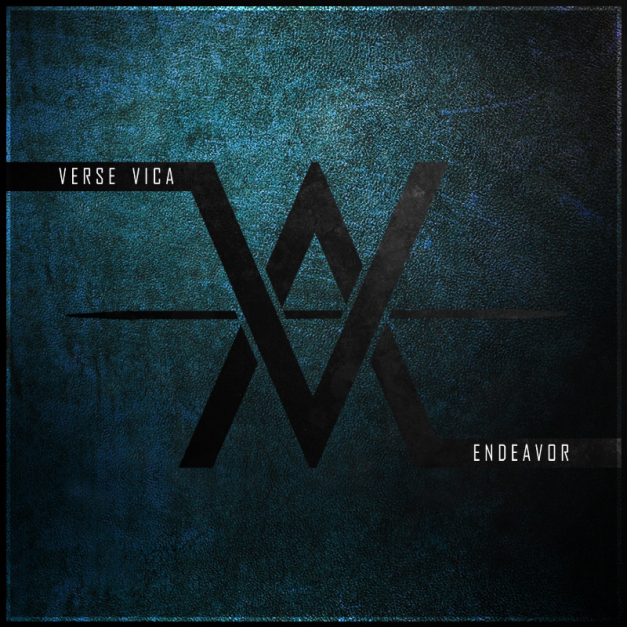 Verse Vica is a 4-piece progressive band from North Carolina. They cite influences such as Animals As Leaders, The Controtionist and Between the Buried and Me which can be clearly heard in their debut full-length Endeavor. They currently don’t have a drummer (if you are one and are reading this, help the guys out!) so they employed the use of Toontrack’s Superior Drummer which is nothing to be sniffed at all … yes, metal ‘elitists’, I am looking at you! Endeavor’s 8 tracks touch upon sounds and textures that aren’t unfamiliar to the metal community (especially the progressive elements) but the band sounds like they have made a conscious effort to hone in certain aspects of each sound. For example, songs such as Airyth, Verdugo and Marumari have very strong post-rock tendencies and the band have created some really beautiful melodies in these sections. Despite some of the progressive sections in songs like Djinn and Cities I: Cerulean sounding very much like something Between the Buried and me or The Contortionist would write, the band does add a slight flair to them which does help them stand out. The skill and precision of the band is second to none. The guitars are tight and have a variety of tools in their belt to bring about interesting riffs and concepts. The bassist even has a dab hand at whipping out the odd tapping section every now and then which makes a nice change from a bassist who just follows what the guitarists do note for note. The vocals I am sadly split on. I really enjoy the singing as they are very full and powerful in comparison to many whiny singers of some modern metal bands. The screams are a mixed bag: sometimes they work in a section and sometimes they don’t unfortunately.